Former deputy minister of power, John Jinapor, has rubbished President Nana Akufo-Addo’s description of the separation of the petroleum ministry from power by the previous government as senseless. He had since nominated Boakye Agyarko as the minister-designate to head the Energy Ministry. “At the end of the day the most important thing is the results and the end justifies the means and clearly everybody can tell that look there is a remarkable improvement in the power sector,” he added. “Let’s give him the benefit of the doubt and let posterity judge us…and let’s see how it goes,” he stated. 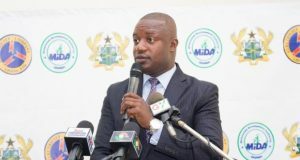 Citing stability in the power sector, Mr. Jinapor tasked the Akufo-Addo-led administration to uphold its promise to reduce electricity tariffs during electioneering last month. The cost of power remains a major concern for domestic users and business operators. “But our brothers on the other side – that is the NPP made a lot of noise about it. In fact, they stated that the taxes were obnoxious; stated that the levies were unwarranted and that when they come to power they’ll scrap them immediately,” he recounted. Fortunately, he said: “They have the power. The taxes alone constitute 10% of the tariff. The VAT component which is paid by commercial users…is about 17% or 15% and so for businesses that is about 27% of the power you buy.